Spring is certainly upon us and with varmints afoot, what better season to go afield with a new camo Windham Weaponry Varmint Exterminator? Our feature gun this month in TrueTimber Camo, it has a 20″ precision stainless barrel fluted for light weight and chambered in the Compass Lake Spec with matched Carpenter 158 steel bolt; it will bring those long shots within reach. The TrueTimber Camo finish “lock, stock & barrel” keeps you from spooking the wariest of critters and is tough enough to outlive them all. We are counting down the last few days of our Spring Retail Promotion. If you need extra magazines, a scope or whatever that tax return might prompt the need for, we are offering a 10% discount and free ground shipping on all orders of $50 or more. Just use the code “PHIL” at checkout. If you’ll be at the NRA Show in Louisville, Kentucky May 20 through 22, please drop in at our Booth, #2847. We’ll be pleased to see you! A camo model ready for the varmint hunters! We will have this Cutaway Rifle on display at the NRA Show in Louisville, Kentucky, May 20 – 22, along with lots of other fine Windham rifles. Come see us! my accuracy expectations and delivered exactly what I was after in my search for the ultimate prairie dog gun. My SRC-308 TimberTec Camo rifle is not only my favorite gun to shoot. I bought it last year for hog hunting this year. Wanted to share how it did. This gun is a beast. Subject: Thanks for a great gun. Thanks for a great gun, I’ve harvested many animals and was very surprised with the accuracy. This pressure fit black rubber plug inserts into the base of standard A2 plastic AR15/M16 pistol grips to provide an internal storage space for small parts, and a more finished appearance to the grip. It is molded of black rubber with ridges to hold it securely in place within the base of the grip. This grip will also fit Hogue Grips. Made in the U.S.A. 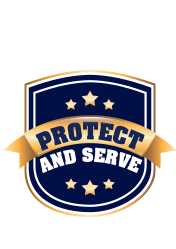 I would like to give a big shout out to all the officers that stopped by our booth at TTPOA, Texas Tactical Police Officers Association Conference, as it’s always great to be able to meet in person the officers that I’ve been doing business with over the years. TTPOA is a show that I look forward to every year and this year was no disappointment. I would like to give a special thank you to Christian from Dallas SWAT as well as the guys from TX DPS that stopped by the booth. May is going to be an exciting month as we will be attending the NRA show in Louisville, KY from the 19th to the 22nd. We will be in booth #2847 so please come by and see what’s new with Windham Weaponry. 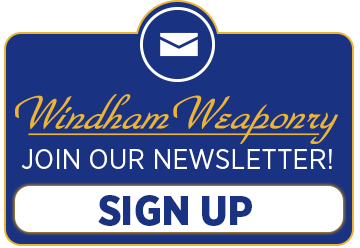 I would also like to remind you all to check out our training link to see where we are holding our Windham Weaponry armorers courses: http://www.windhamweaponry.com/le/training.asp. Some of you might know that Windham Weaponry sponsors a few cowboys throughout the year, and for the NFR finals in Vegas at the end of the year. One of those cowboys is Tim O’Connell and WW is proud to be a sponsor for Tim. Congratulations Tim on another GREAT win!! Keep up the great job. Come try Southern Maine’s newest and finest shooting range! The Windham Indoor Shooting Range and Retail Store offers classes for concealed carry, basic personal defense, advanced personal defense, and many other fields of firearms training. For their NRA qualified instructors “training begins at the door” no matter what level of experience you have. Experienced gun counter sales personnel and attentive Range Safety Officers will ensure that you enjoy a satisfying shooting experience in a safe environment. The Retail Store offers a broad selection of parts, accessories and ammunition, and even antique firearms appraisals. If we don’t have what you want, our dedicated staff will order it for you. We are conveniently located in the Windham Business Park on Rte 302 in North Windham.